Home » News » Coming soon to a screen near you… Our Local Fox is coming to life, to save his life! Next week we will be launching a Crowdfunding campaign to save our Local Fox Cider. Our innovative community cider hub has been happily bubbling and fermenting away since 2016, when we opened its doors in Herne Hill. Since then, it has grown faster than Himalayan Balsam! Over 700 volunteers have graced its sticky, pomace-laced floors and joined us on harvest days, bringing their dedication and energy to make its output possible. We even had to move to larger premises in Walthamstow. But unfortunately, as funding comes to an end, this fantastic food waste reduction initiative is now under threat. 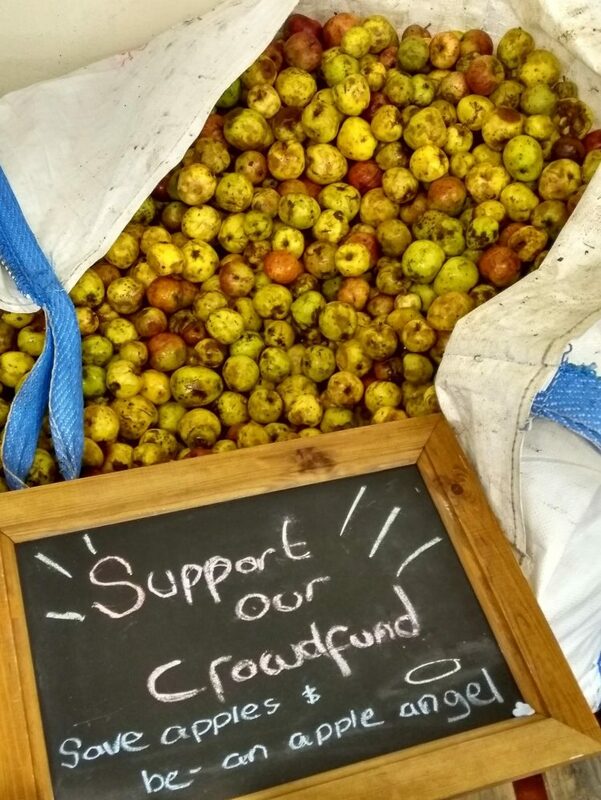 We need to raise £17,500 through our Crowdfunding campaign to continue breathing new life into London’s neglected, surplus fruit. Since its inception, the Local Fox Cider hub has rescued 12 tonnes of unwanted fruit from London’s gardens, orchards and supply chains, and transformed this into 15,000 bottles of cider and juice. It’s amazing what a little bit of yeast and an army of enthusiastic food-waste-hero-volunteers can do! Our crafty fox, as seen on our bottle labels, will be coming to life on Wednesday 7th November through an animation. He’ll be showing the public why this project deserves support. Please watch and share the video to help us raise the funds we need! Our Crowdfunding page goes live next week; details to follow soon. Thank you from all of us at The Orchard Project!